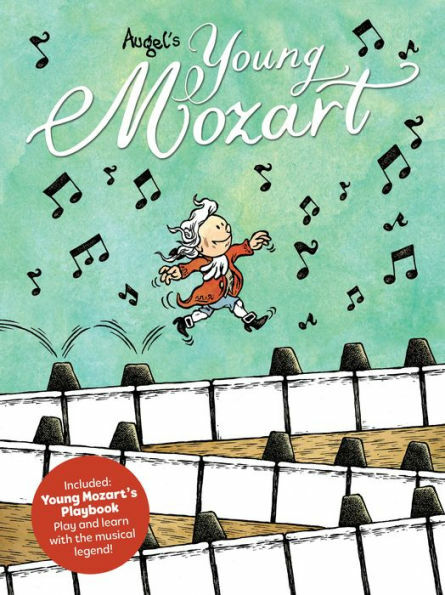 With the graphic novel YOUNG MOZART, cartoonist William Augel provides a tender and playful glimpse into the life of the world's greatest musical genius, based on real events in his childhood. Little Wolfgang Amadeus Mozart lives only for music. The young virtuoso is looking for (and finding) inspiration all around him: in the sounds of birds, crickets and frogs; in the cries of his sister; even in the poop of his dog. For comic readers, the whimsical storytelling (and most especially the scenes with a boy and his dog) will recall the charm of Charles Shultz’s PEANUTS…. But with more music (and more historically accurate info). It’s a charming tale, riddled with good humor, and, yes, real musical chords. The book has been endorsed by Joanne Pearce Martin, the Principal Keyboardist for the Los Angeles Philharmonic who writes: "Wolferi's inspired musical antics spark the reader's imagination. It's a wonderful mix of historically accurate information and humor that brings out the playful child inside of all of us. You'll have so much fun during the journey, you won't realize how much you’ve learned!" The internationally renowned publisher Humanoids has been expanding its storytelling focus with BIG, which features all ages and YA graphic novels--including the acclaimed BIGBY BEAR by Philippe Coudray. And now Humanoids will publish YOUNG MOZART in bookstore on April 23 and in comic book stores on April 24.